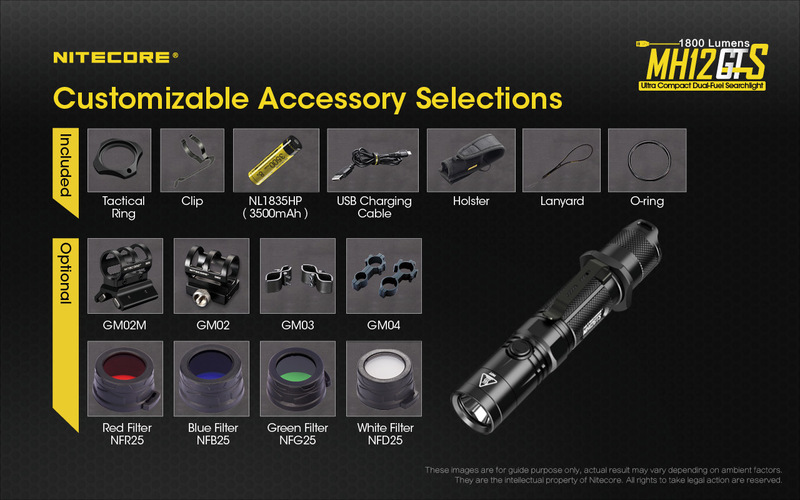 Accessories 3500 mAh 8 Amp battery, USB cable, holster, lanyard, spare USB port cover & spare o-ring. 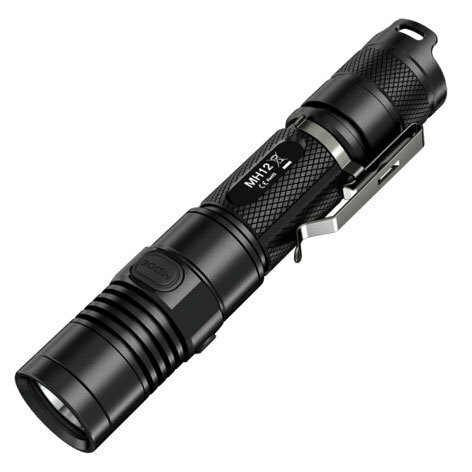 What happens when you increase the Amps that a torch can handle and you stick an 8 Amp battery in it? 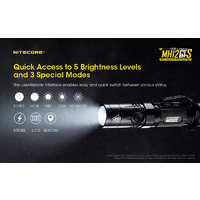 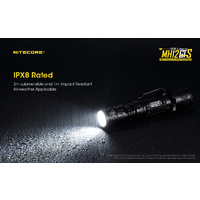 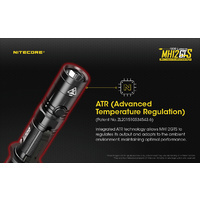 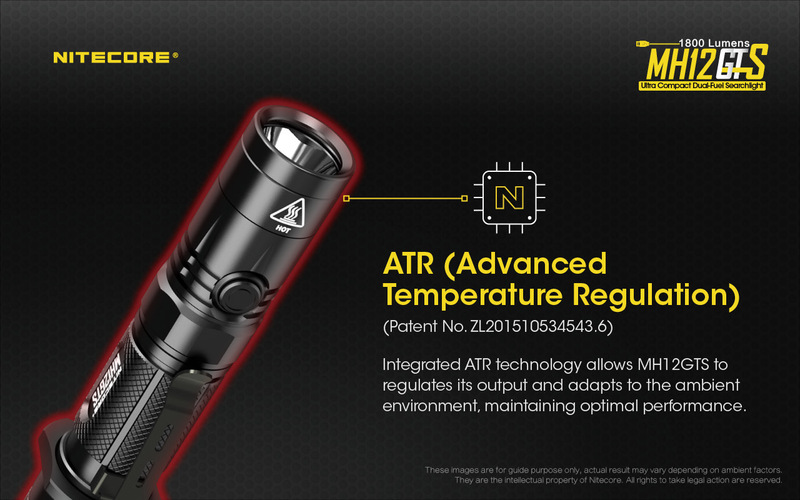 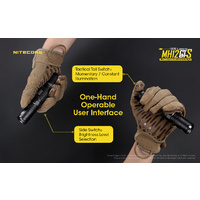 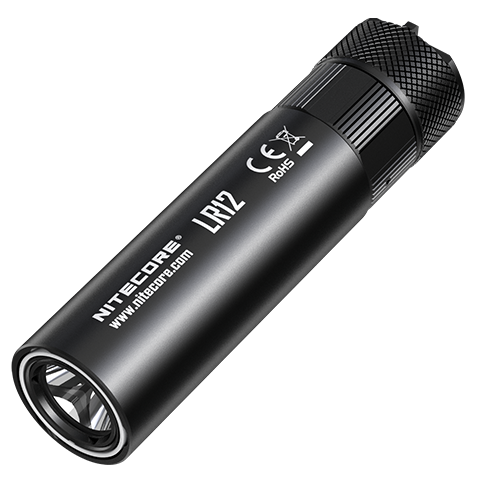 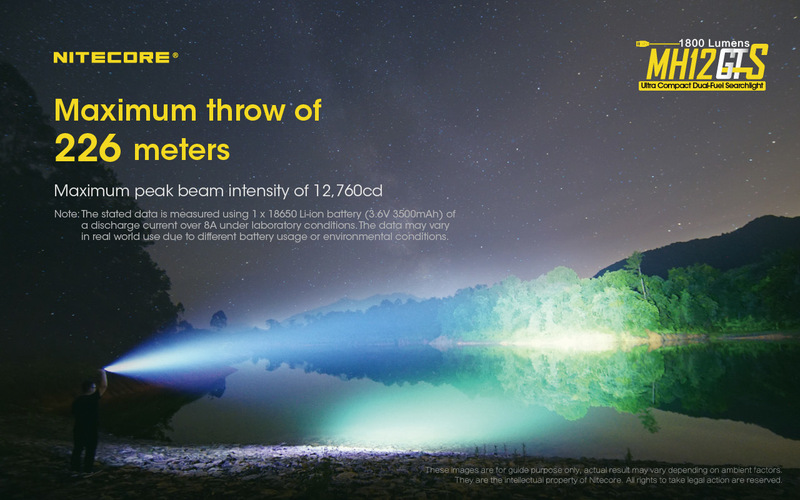 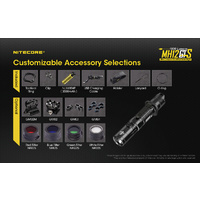 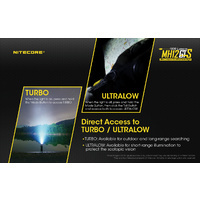 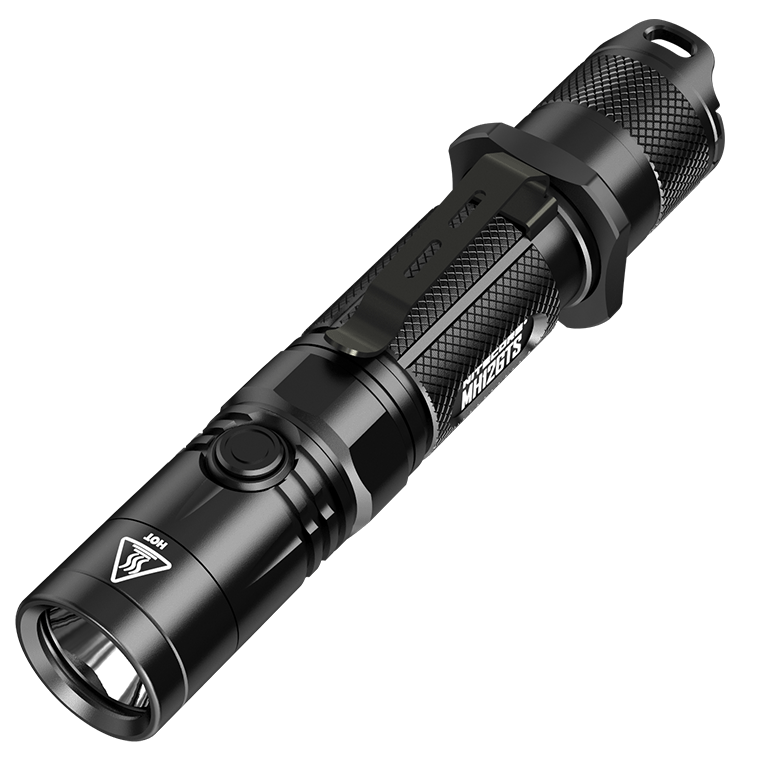 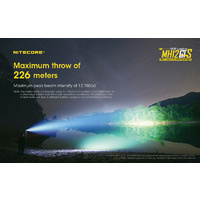 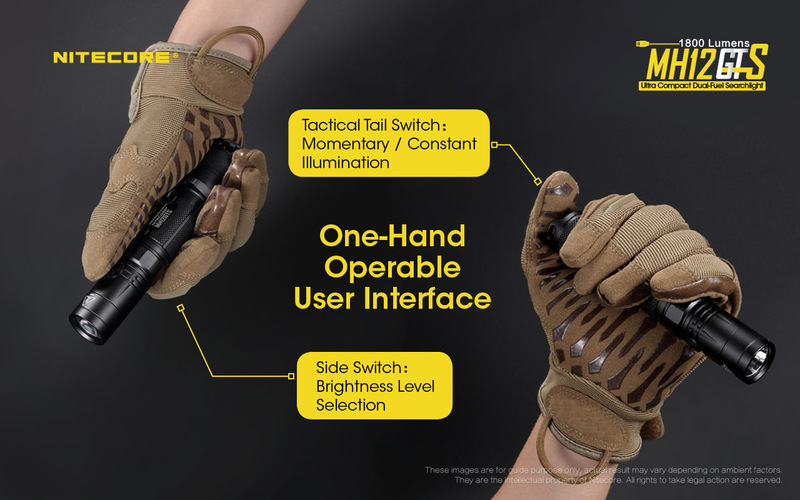 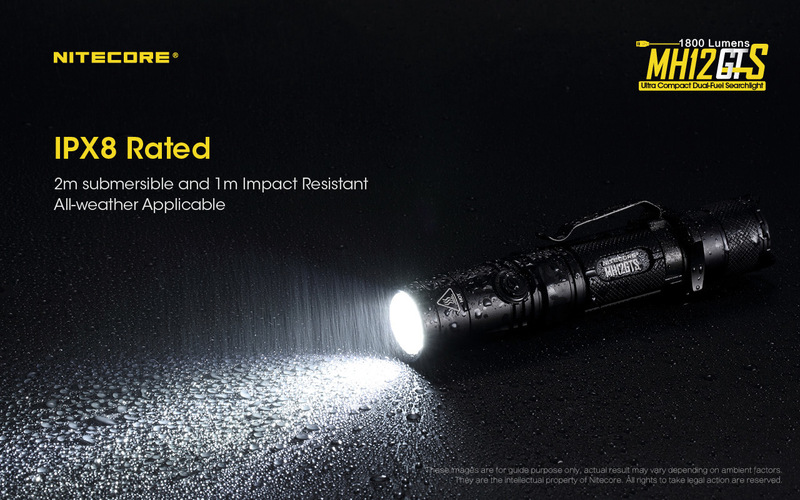 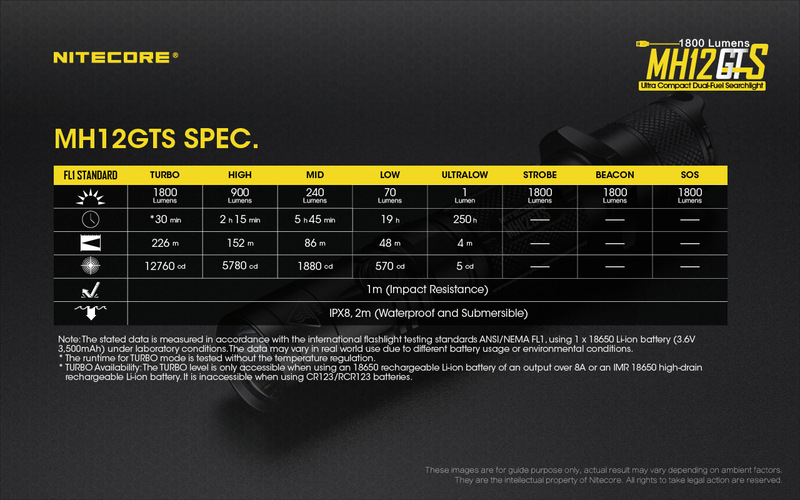 The GTS range of Nitecore torches. 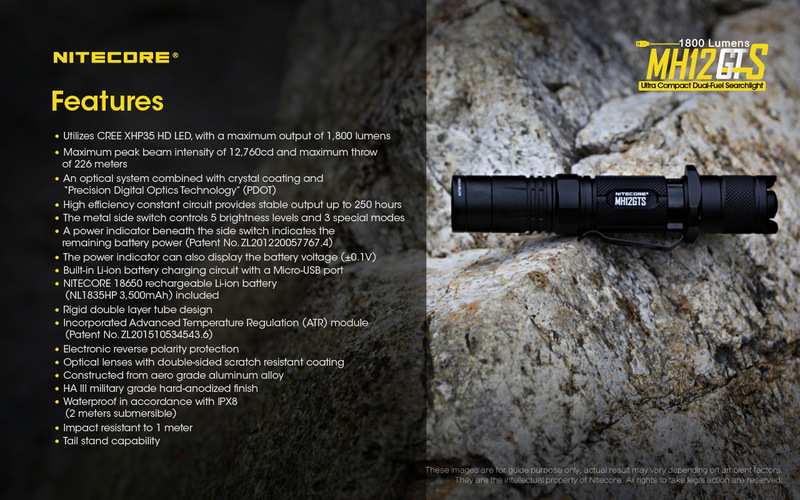 The MH12GTS is the same basic format as the MH12GT, but now with this evolution its reaching a scortching 1800 lumens in the size of an every day carry. 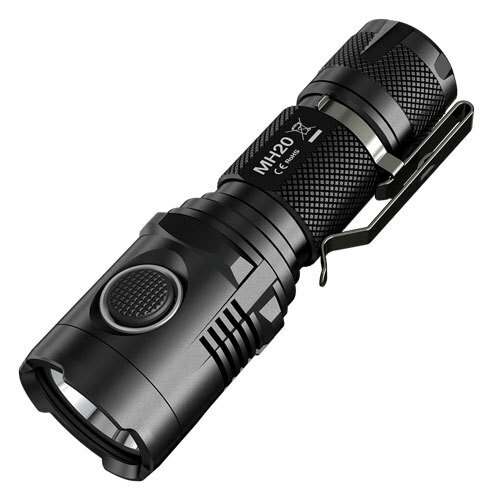 A great value every day torch that comes with everything you need to get started. 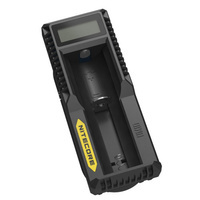 It includes a 3500 mAh rechargeable Li-Ion battery. 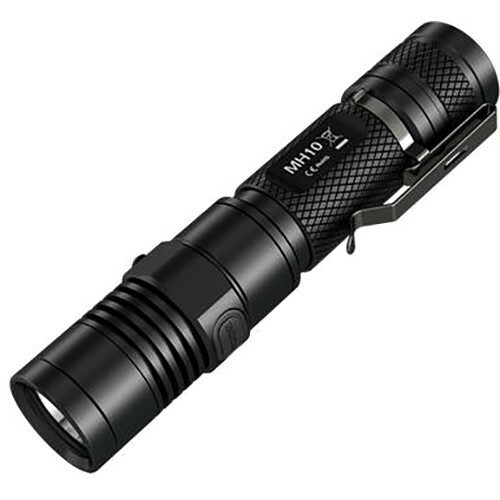 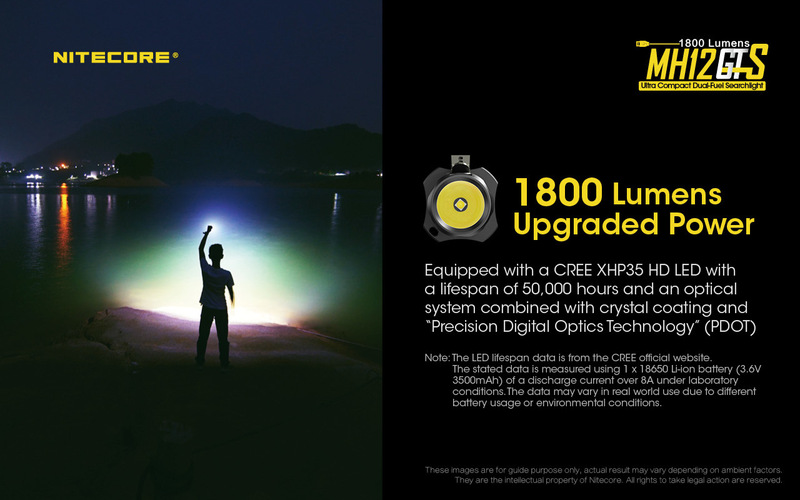 At only 14 CM long and punching out 1800 lumens, its a serious player. 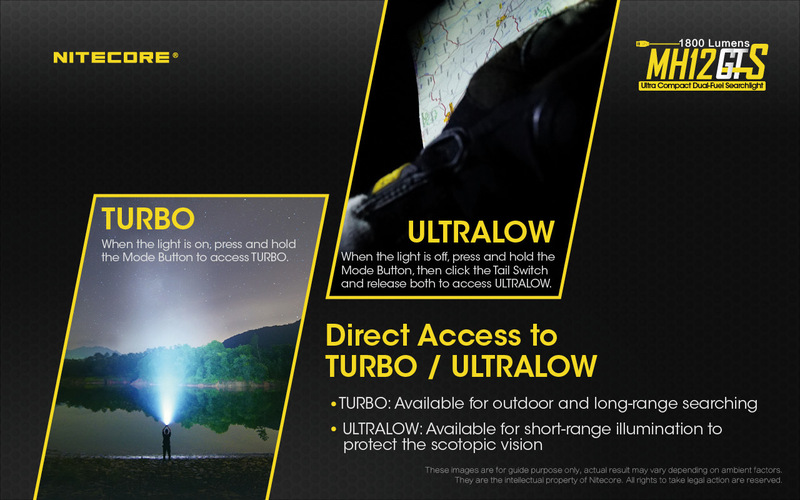 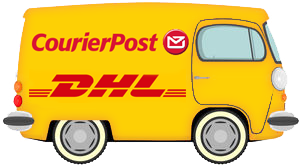 The four output levels are easy to access. 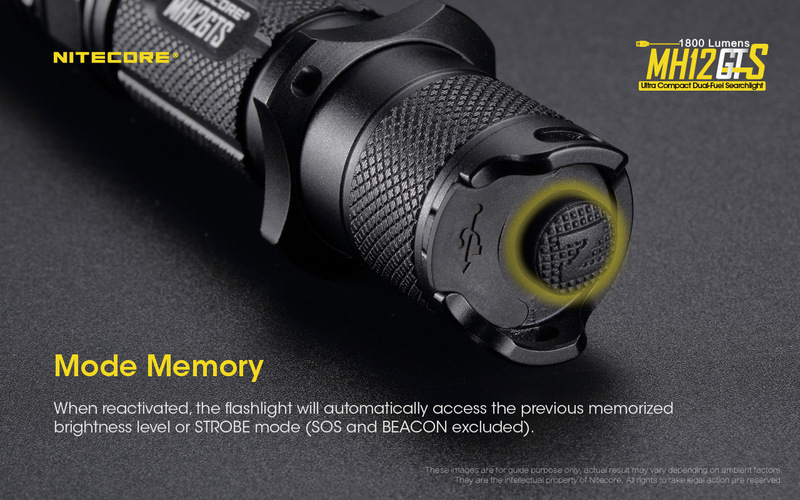 The power button doubles as a voltage indicator. 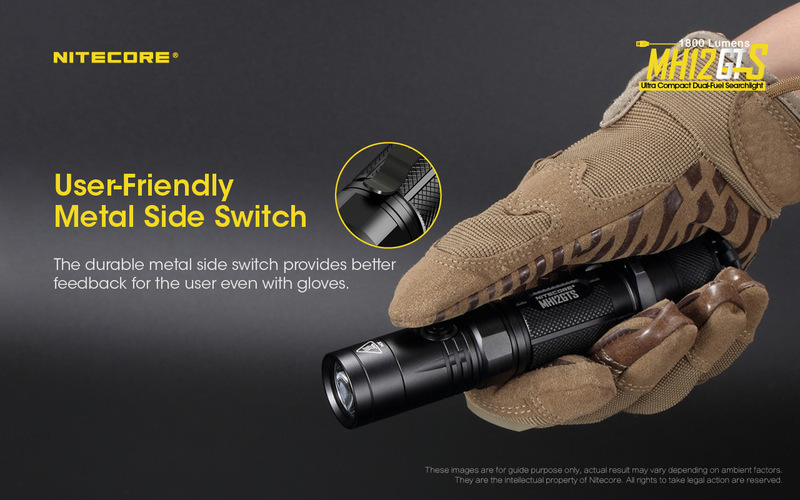 The new random strobe feature is great for self defense. 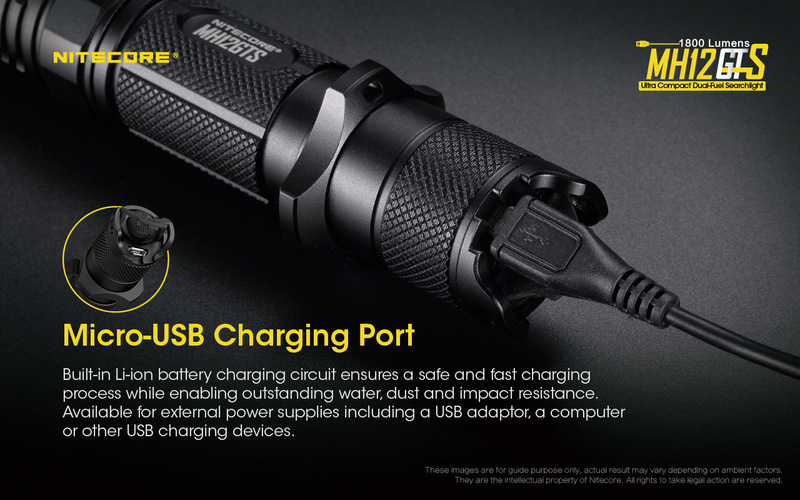 There is a USB charging port and amongst your accessories, a USB cable is included. 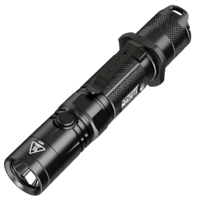 The MH12GTS is submersible to two meters under the warranty and is built tough. 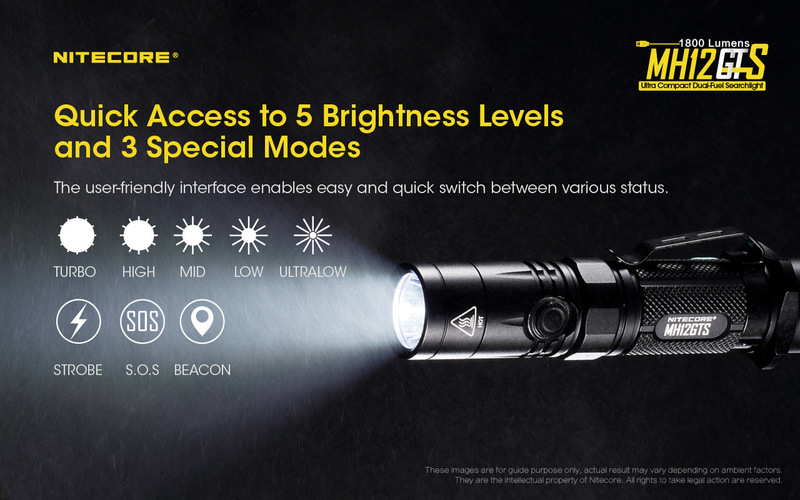 There is the standard SOS, beacon and strobe modes available too. 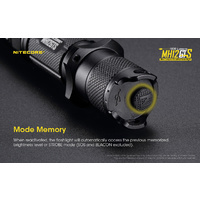 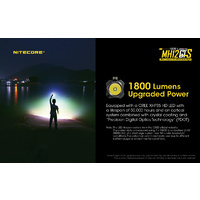 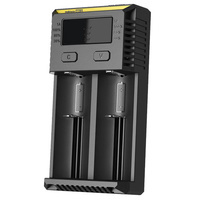 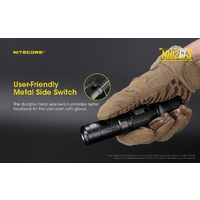 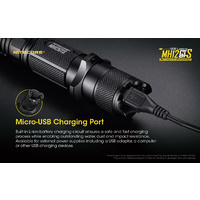 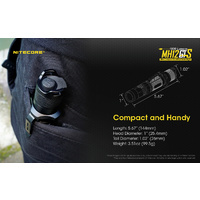 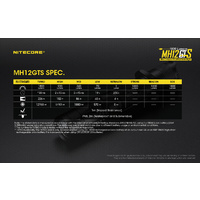 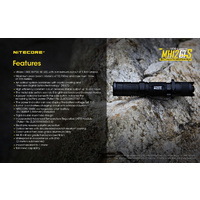 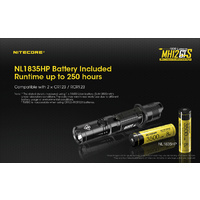 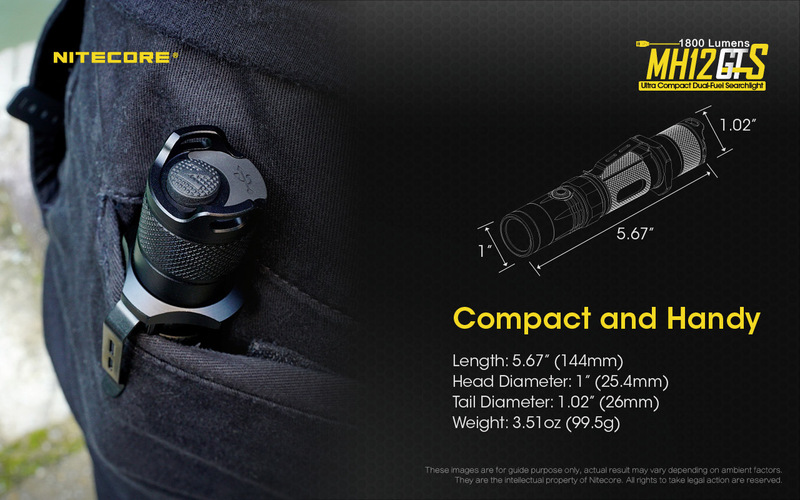 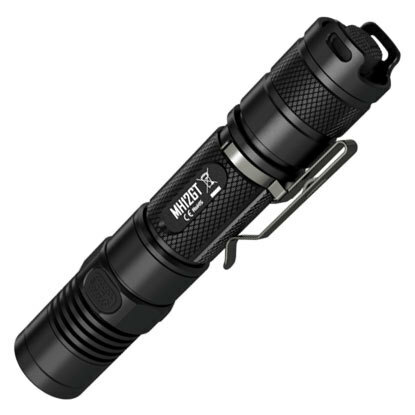 This Nitecore MH12GTS comes with one battery and you can add more below. 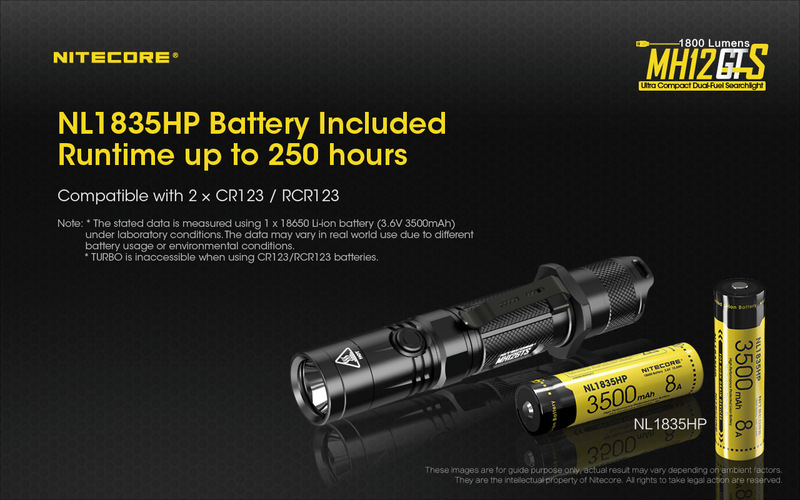 All these batteries are compatible with this torch but improve by storage capacity.